Don't stress over waiting for taxis or bus transfers to New York City's busy airports. 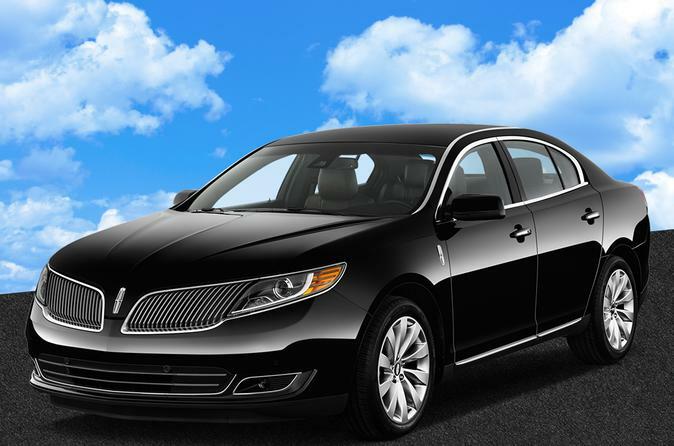 Instead, ensure peace of mind with this great-value, private transfer from your Brooklyn accommodation to JFK International Airport, LaGuardia Airport or Newark Liberty International Airport. Reach the airport relaxed and in plenty of time to catch your flight! When your stay in New York ends, you’ll be met at your Brooklyn hotel or residence by a professional driver and driven by comfortable private vehicle to JFK International Airport (JFK), LaGuardia Airport (LGA) or Newark Liberty International Airport (EWR). Choose either a sedan, for up to three passengers, or a minivan, for up to five passengers. When making a booking for this private departure transfer from your Brooklyn accommodation to the New York airport, you will need to advise your flight details and your Brooklyn address. Your transfer will be confirmed within 24 hours of booking, and you will be provided with a travel voucher to present to the driver. It's that easy! Price is per person, based on three passengers per sedan or five per minivan or SUV.